The Supreme Court has unanimously decided to refer questions to the CJEU in relation to the portability of Disability Living Allowance (DLA). The issues which arose in this case was whether the UK is precluded from applying a residency test as a condition of entitlement to DLA for employed and self-employed persons moving within the EU. The Claimant, Mrs Tolley, born in 1952 and a British national, had paid National Insurance contributions from 1967–1984, and some further contributions thereafter until 1993/1994. She was awarded the care component of DLA on an indefinite basis in 1993, as she was unable to prepare a cooked meal for herself. Mrs Tolley moved to Spain with her husband (who continued proceedings on her behalf after her death in 2011), in 2002. Had she remained in the UK, she might have been entitled to a state pension. However, in 2007, the Secretary of State for Work and Pensions decided that she was not entitled to DLA, and had not been since her move to Spain. She made a successful appeal to the First-tier Tribunal on the basis that Article 10 of the Council Regulation (EEC) No 1408/71, which provides that certain benefits shall not be withdrawn or modified because the recipient resides in a Member State other than that in which the awarding institution is located, meant that her DLA was portable, and the Secretary of State ought not to have withdrawn it for the period in which the claimant resided in Spain. The Secretary of State appealed to the Upper Tribunal. 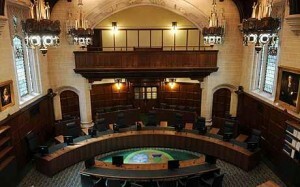 Again, the Tribunal held that Mrs Tolley was entitled to the benefit, but on the grounds that she was an “employed person” entitled to the benefit in accordance with Regulation 1408/71, Article 22.The Secretary of State then appealed to the Court of the Appeal in 2013, but again the appeal was dismissed. The Court was bound by Revenue and Customs Commissioners v Ruas  EWCA Civ 291, holding that the Claimant was an ‘employed person’ with the meaning of Article 1(a) of the Regulation, rather than an “employed person”, with Title III Ch 1, which deals with the portability of sickness and maternity benefits, engaged to restrict the right to export DLA. Moreover, the broad definition of an “employed person” as in (C-543/03) Dodl and Oberhollenzer applied to Mrs Tolley. (i) Does a person who ceases to be entitled to UK Disability Living Allowance as a matter of UK domestic law, because she has moved to live in another member state, and who has ceased all occupational activity before such move, but remains insured against old age under the UK social security system, cease to be subject to the legislation of the UK for the purpose of Article 13(2)(f) of Regulation No 1408/71? (ii) Does such a person in any event remain subject to the legislation of the UK in the light of Point 19(c) of the United Kingdom’s annex VI to the Regulation? (iii) If she has ceased to be subject to the legislation of the UK within the meaning of Article 13(2)(f), is the UK obliged or merely permitted by virtue of Point 20 of annex VI to apply the provisions of Chapter 1 of Title III to the Regulation to her? (i) Does the broad definition of an employed person in Dodl apply for the purposes of Articles 19 to 22 of the Regulation, where the person has ceased all occupational activity before moving to another member state, notwithstanding the distinction drawn in Chapter 1 of Title III between, on Page 11 the one hand, employed and self-employed persons and, on the other hand, unemployed persons? (ii) If it does apply, is such a person entitled to export the benefit by virtue of either Article 19 or Article 22? Does Article 22(1)(b) operate to prevent a claimant’s entitlement to the care component of DLA being defeated by a residence requirement imposed by national legislation on a transfer of residence to another member state? The potential impact of any judgment of the CJEU on the exportability of these benefits, and its interpretation by the Supreme Court remains to be seen, but it is another case raising the pertinent issue of free movement and social security in Europe (see the recent CJEU judgment in Jobcenter Berlin Neukölln v Nazifa, Sonita, Valentina and Valentino Alimanovic (C-67/14). The Court awaits the response of the CJEU before making a final judgment of the issue. What is the present situation regarding this case? The Supreme Court dotes not hace any información about the course of acción. DWP held some information but does not want to release it. Pending cases have to wait until tribunals lift the stay of proceeding and revise the cases. 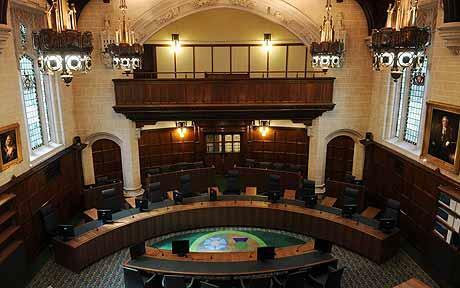 Leave a reply on "Case Comment: Secretary of State for Work & Pensions v Tolley (Deceased acting by her personal representative)  UKSC 55"